The Bloomingdale Public Library is not accepting any community service volunteers at this time. We are accepting adult volunteers for the Coupon Exchange Program. The Coupon Exchange Program entails cutting, sorting, and separating coupons. Volunteers should be available at least once a week. If you would like to help maintain this program, you can fill out an application in the Business Office. In the event that future volunteer opportunities arise, applications are also available in the Business Office. If you are interested in supporting the Bloomingdale Public Library, we encourage you to consider joining the Friends of the Bloomingdale Public Library. For more information, contact the Business Office at (630)529-3120. Teens interested in volunteering can check our Volunteens or Teen Advisory Board programs. Musty material smelling of mildew or smoke – try the sniff test! Most donations of like-new, gently used materials are given to the Friends of the Bloomingdale Public Library to help them raise funds for the benefit of the library. Gifts of materials that are accepted by the library become the absolute and unconditional property of the library and cannot be returned to the donor for any reason. Once the library takes possession of an item, the library is free to make all decisions in accordance with its established procedures with respect to the retention, storage, use, and disposition of that item. Items of local interest should be directed to the Local History Librarian. Cash donations are welcomed. It is the policy of the Library to expend the cash on materials, equipment, or a project acceptable to the donor. Other donations such as equipment, stocks, etc. may be accepted, but would be subject to the approval of the Library Director and the Board of Library Trustees. In memoriam of a loved one, you may donate towards a book that will be added to the library collection. The book will include a book plate acknowledging your donation and the person, and you are welcome to choose a subject or genre that he or she enjoyed. If you would like to make a memorial book donation, please contact Abby Budzynski, the Adult Services Department Head, at (630) 924-2733 or abudzynski@mybpl.org. 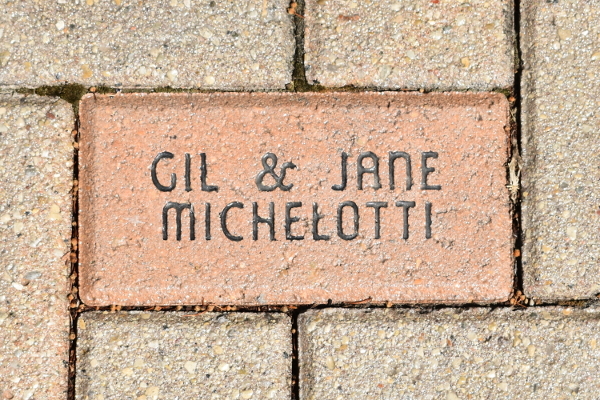 You are invited to buy a commemorative brick that will be permanently installed in the Bloomingdale Public Library courtyard! 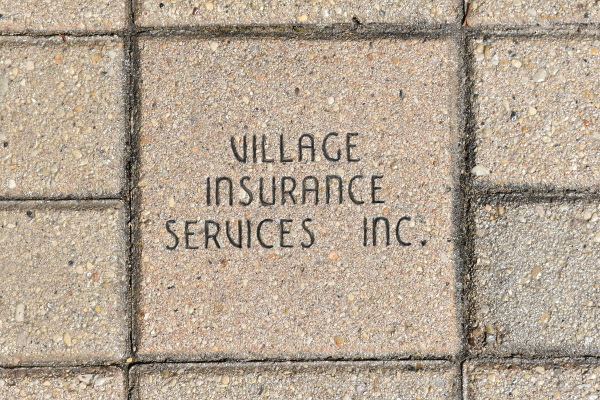 Each brick holds up to three lines of type with thirteen characters per line. Engraved letters are filled with a black epoxy for protection from the elements. To purchase a brick, please come to the Business Office for an order form. All donations are tax deductible. Make checks payable to "Village of Bloomingdale." For a map of the bricks on the library premises, please click here. For the list of donors in alphabetical order, please click here.